We've all fired off that one unfortunate email only to wish we'd waited another few seconds, to realize it was sent to the wrong person or you left the subject line blank or something even worse. Now Google proposes to ensure that will never happen again - or at least that it won't matter, hopefully. That's because a new Google Inbox feature called "Undo Send," revealed during a Reddit ask-me-anything session, will let you quickly recall emails as if they were never sent in the first place. As GigaOM points out there are two likely ways this might work. Firstly, judging by how BlackBerry Messenger does it, Google Inbox could just let you rescind emails sent to other Inbox users. On the other hand there's also a somewhat buried Google Labs feature that lets Gmail users un-send emails no matter who they were sent to - as long as they do it within 30 seconds of actually pressing the "send" button. In the Reddit AMA Google Inbox Software Engineer Taylor Kourim said the undo button is the feature he most wants to implement, tied only with cross-browser support. And in case you think it's just a pipe dream, he clarified: "Yes, we're working on it right now. Other Inbox team members answered that they most want to add customization for snooze times and tablet support, but the ability to un-send emails is undoubtedly the most exciting feature that Google Inbox may one day boast. Google opened Inbox up to all comers for a short time today, but currently it remains a (mostly) invite-only service. 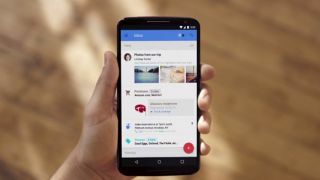 Hands on with Google Inbox: what's it like to use?